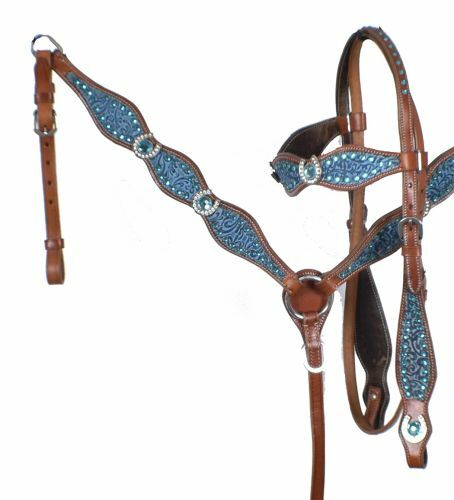 Showman ® Headstall and Breast Collar Set with Blue Filigree Print. 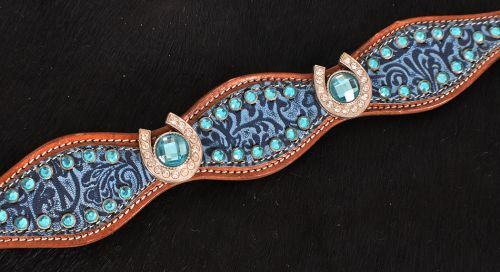 This headstall and breast collar set features double stitched medium leather accented with blue filigree print overlay accented with teal rhinestone studs and teal crystal rhinestone horseshoe conchos. Set includes browband headstall and breastcollar.